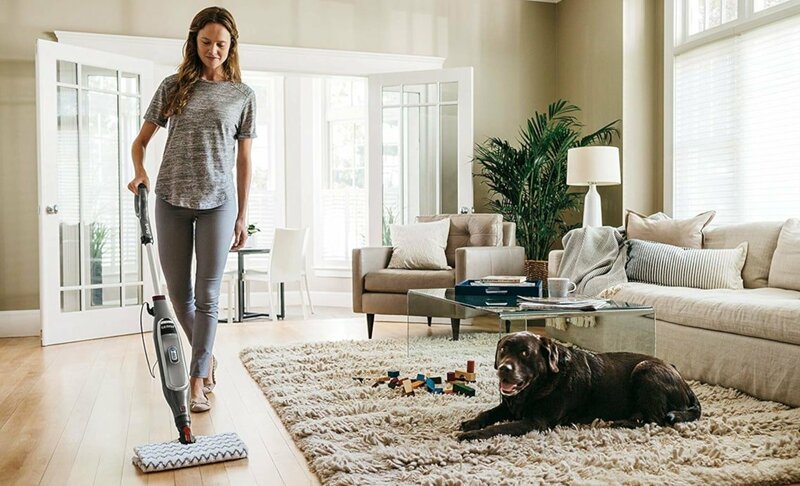 Is the Shark Genius steam mop your floor’s new best friend? Let’s break down the details in our 2019 review. The Shark brand is hugely popular for floor cleaning. Innovative products designed to work efficiently while minimizing physical effort have made it a go-to brand for many homeowners. Their lightweight, affordable, intuitive technologies take some of the dread out of floor cleaning. 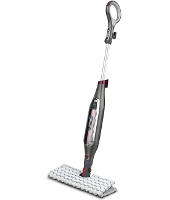 The Shark Genius Steam Pocket Mop (model # S5003D) is a next-gen model with some impressive features that minimize your contact with wet, dirty cleaning pads. New, better absorbing pads and steam blaster tech help to break up dirt and sanitize sealed hard floors with only the power of steam. If you dread mopping as much as most of us do, you need a reliable mop that can do most of the work with as little effort from you as possible. If you don’t want to invest a lot in a robot mop or a housekeeper, then a steam mop is your next best option. While the old mop and bucket system is still the cheapest route, steam mops aren’t a huge expense. 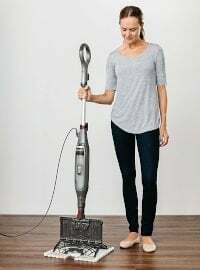 When you take into account that you won’t have to buy extra cleaning solutions and the time saved with no wringing and rinsing, you’ll see why a steam mop is a good investment. What do you get with a Shark Genius Steam Pocket Mop? You’ll get three easy-to-assemble pieces, a quick start guide, user manual, two washable dirt grip pads, and a water filling reservoir. This is pretty standard for all Shark steam mops. Replacement / extra cleaning pads are readily available online. Touch-free technology: The mop head opens with the push of a button, which releases the dirty pad without you having to touch it (until you have to put it in the washer). This saves you from potentially burning your hands with steamy water, not to mention all the icky grime. Steam blaster: A powerful jet of steam can be directed right on dried or sticky stains to quickly break down the dirt. Dirt-grip pads: A step up from your humble microfiber pads, these are designed to grab and hold onto dirt. Plus they’re double sided. All you do is flip the mop head to take advantage of the clean side of the pad. Steam channeling system: Evenly distributes steam throughout the pad to maximize the cleaning width. Intelligent steam control: 3 settings so you can customize the level of steam needed for each cleaning job. The Genius mop head with pad is narrow enough depth wise (7”) to scoot into small spaces such as behind toilets. The 13” pad width is wide enough to make good progress in fewer swipes. It swivels well and can lay almost flat to get under low-clearance furniture. The on-board water tank holds 350 mL (11.8 oz) of water. It should clean approximately 1000+ sq. ft. of floor on one fill on the lightest steam setting. Heavier dirt or larger areas will require one or more refills. Even though there is a water filter within the machine, you should always use distilled water to both minimize streaks and to not leave mineral deposits that can clog the spray nozzles. You will not need to add any cleaning solutions to the water tank. That’s one of the selling points of steam mops in general. For those who want to cut down on chemical residues, that’s a BIG selling point. Tip: If you want the fragrance or extra cleaning power of a floor cleaner, either spray the cleaner directly on the floor before mopping, or spray or soak the cleaning pad with the cleaner. NEVER put any other cleaning solutions in the tank. Only water! The downside to the water tank is that it’s not removable. To fill it, you have to hold or prop the machine up, lean it over, uncap the tank and fill it with the included refill cup. The user manual says to drain all the water from the tank before storage, so that means you have to turn it over a tub or sink to empty it. This is an inconvenience we really hope Shark improves upon in future models. The “dirt grip” pads are designed to lock dirt in their fibers better than regular microfiber pads. Two of them come with the machine, and they are washable, so you can always have a clean one on hand. The great thing about these is the touch-free technology that allows you to apply and remove the pad without touching it. The pads are dual-sided, but don’t confuse this with reversible. They can go on the mop only one way. But once it’s on and the mop head is closed, the pad has two sides, top and bottom. So when the bottom is saturated, just flip over the head and voila! Clean side! A note on pad maintenance: The manufacturer recommends replacing pads every 3-4 months, which is a bit much in our opinion unless you have heavily soiled floors and mop every single day. Take care of your cleaning pads by washing them after each use but do NOT use bleach or fabric softener. Bleach will deteriorate the fibers prematurely, while softener will impede the absorption ability. Simply wash in plain detergent and hang to dry. They should last a good long while if you do this. But there are plenty of extra pads available for sale. Overall, this is a great steam mop. Most customers have been impressed with the cleaning power, and were amazed at how much dirt it picked up. Though there are some design flaws that aren’t that smart, this “smart mop” is a good choice if you already love steam mops or want to try one out. There are a couple downsides to operating this mop. One is that there’s no on/off switch. Plug it in for on, and unplug for off. It also doesn’t stand on its own. So, unlike other steam mops, leaving it to move furniture or shoo away a kid will require more vigilance on your part. Here’s a walkthrough of the basic operation. Follow the user manual for more detailed instructions and illustrations. Setup – When using for the first time, snap the top part of the handle into the body, then snap the body onto the mop head. That’s really about it. No tools required. Fill the tank – Pop open the top on the water tank of the mop. Fill the included measuring cup with distilled water until it reaches the fill line. Carefully pour the water into the tank. It should be totally full at this point. Don’t add more water. Attach the cleaning pad – Lay a clean pad flat on the floor (striped side down). Insert the edges of the mop head into the slots on the pad, lift the unit off the ground and fold the head over. Start it up – Plug in the machine to turn it on. Choose your steam level – Simply push the power button one, two or three times for the various steam levels. You’ll see lights to indicate what level you’ve chosen. Now get to mopping! – After plugging in, it will take about 30 seconds to fully heat up. The steam will reach about 212 degrees F and will automatically start to move through the cleaning pad. If you want to use the Spray Blaster to target a stubborn stain, flip the mop head, and aim the steam spray at the dirt, then flip the head back over and mop it away. Shutting down – When finished, simply unplug the machine to turn it off. Remove the pad by engaging the release lever below the handle. You can release it right into a hamper or the washing machine so it’s ready to wash. Look, ma! No wet or dirty hands! Loop the cord around the storage hook on the handle. Empty any leftover water from the tank over a sink or tub, and store the machine away. 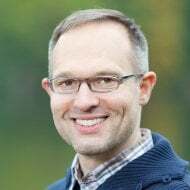 As far as maneuverability, some users said it was hard to push upon startup (too much friction). However, if you dampen the pad with water before you begin, it can help that a lot. Also, the swivel feature was a toss-up: some customers loved it for getting around bed posts and corners, but others thought it swiveled too much and was hard to control. The manufacturer warranty is listed as 1 year and should cover all normal wear and tear issues. Is the Shark Genius Steam Pocket Mop safe for wood floors? That depends. If your wood floor is completely sealed, as in an engineered wood floor, it’s probably safe. You may want to avoid using on wood floors with gaps, however, as the steam could penetrate the gaps and cause warping. Don’t leave your mop and damp cleaning pad sitting on the floor. Use the lowest steam setting, and avoid the steam blaster unless absolutely necessary. Dry up any visible water after mopping. Run a box fan to move air across the floor to dry it faster. Just note that if you do use a steam mop on a wood floor, and experience damage, it could void the floor’s warranty. So double check the warranty for your flooring before you take the risk. Why are there streaks on my floor after using this mop? First of all, make sure you’re using distilled rather than tap water. Are you using chemicals (sprayed on floor or on the pad)? If so, try pre-cleaning the floor with a 5% vinegar solution, mop as usual, then check to see if any streaking/spotting remains. If no chemicals are used, check to see if the cleaning pad is saturated with water and/or dirt, and change pad if needed. Note: Do not pour vinegar solution or any other cleaning solution into the water tank. Why is the mop so hard to push when I start mopping? This mop glides best over hard floors when enough steam is produced. If there is steam coming out, make sure the cleaning pad is attached correctly. If the pad is secure, wait until your mop has been on for at least 3 minutes so the steam has time to saturate the pad. If it’s still not saturated enough, try spraying water on the pad to help reduce friction until the steam can penetrate. There are several of these online, usually in 2 – 4 packs. Microfiber & Pp. Washable and reusable, despite water or machine wash, no deformation occurs. 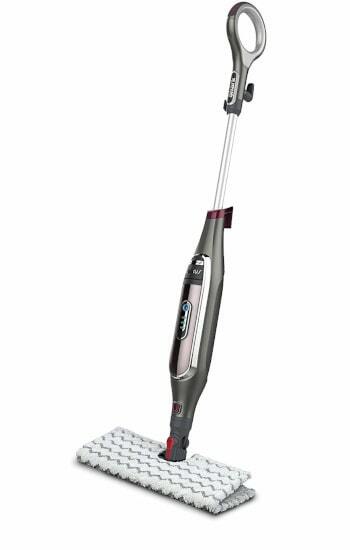 Fits Shark Genius Steam Pocket Mop System S5003D.